Visit the Leigh Yawkey Woodson Art Museum often to experience what’s new on view, hands-on programs for all ages, and opportunities to interact with and learn from visiting artists. 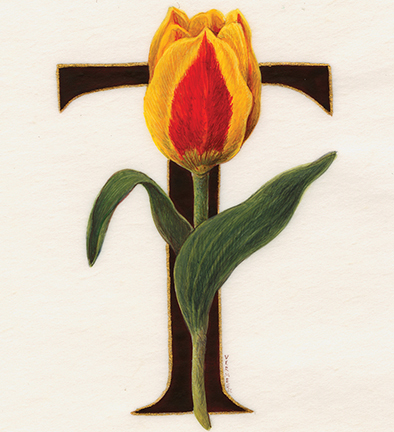 Kandis Vermeer Phillips’ illuminated alphabet showcases A to Z intertwined with plants, mammals, and insects. Phillips integrated extensive research into the history of and the natural materials used in medieval illuminated manuscripts into an alphabet primer for her granddaughter, combining decorative letters with representations of flowers and creatures found in her garden or during family travels. This exhibition was organized by the Hunt Institute for Botanical Documentation, Carnegie Mellon University, Pittsburgh, Pennsylvania. From saguaro cactus of the Southwest, big-leaf maple of the West Coast, and bloodroot spanning the Midwest to bottlebrush buckeye of the Eastern Seaboard, this exhibition features artworks of America’s native plants. 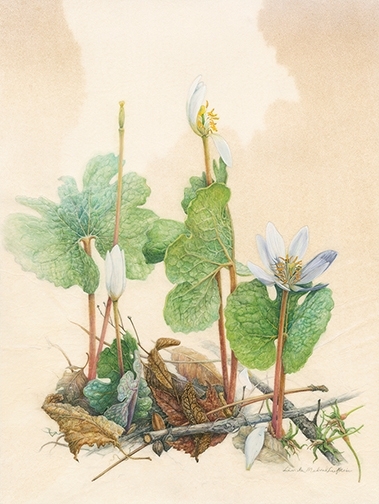 Familiar plants such as sunflowers and violets and rare species such as lady’s slipper orchids are highlighted in watercolors and other mediums. Curated by the American Society of Botanical Artists and the United States Botanic Garden, Botanical Art Worldwide: America’s Flora is part of a worldwide project in which national exhibitions are simultaneously on view at cultural institutions in twenty-five countries on six continents. Each exhibition features contemporary artwork of native plants by resident artists via a coordinated, international effort to increase appreciation of the world’s plant diversity and to link people with plants via botanical art. Imaginations take flight, inspired by new breathtaking depictions of birds by some of the world’s most talented artists who push themselves to new heights, striving to be selected for the internationally renowned Birds in Art exhibition. Majestic yet fragile, amusing, and poignant, birds connect us with the natural world, heralding each dawn and signaling environmental shifts. Savor artistic interpretations and discover anew what inspires you. The Museum’s 2019 Master Artist is British colored-pencil artist Alan Woollett. The 44th annual exhibition features avian wonders through all-new interpretations in original paintings, sculptures, and graphics created within the last three years. Birds in Art opening weekend festivities are part of Wausau’s Artrageous Weekend. Highlighting the extraordinary power and potential of contemporary origami, nine international artists transform two-dimensional paper into stunning, sprawling, and soaring three-dimensional sculpture. Above the Fold: New Expressions in Origami encompasses artwork created using varied techniques, including dampening, stretching, folding, pleating, and twisting into forms illustrating connections between origami and mathematics. Bridging the realms of art and science, origami concepts impact architectural and computer-aided design and are reflected even in our folded DNA. 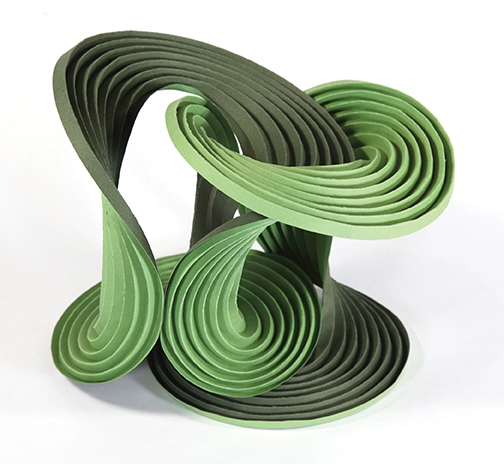 These origami artworks – from floating, organic forms to conceptual book sculptures emerging from the Torah and the Koran, also explore concepts as varied as infinity, sustainable design, and world peace. Above the Fold, the first traveling exhibition to bring origami installations from around the world to North American audiences, was curated by Meher McArthur, and the tour was organized by International Arts & Artists, Washington, D.C.